Trying to help Filip and Fredrik out on their commedia del’arte question, I pull down my Oxford Illustrated History of the Theater. 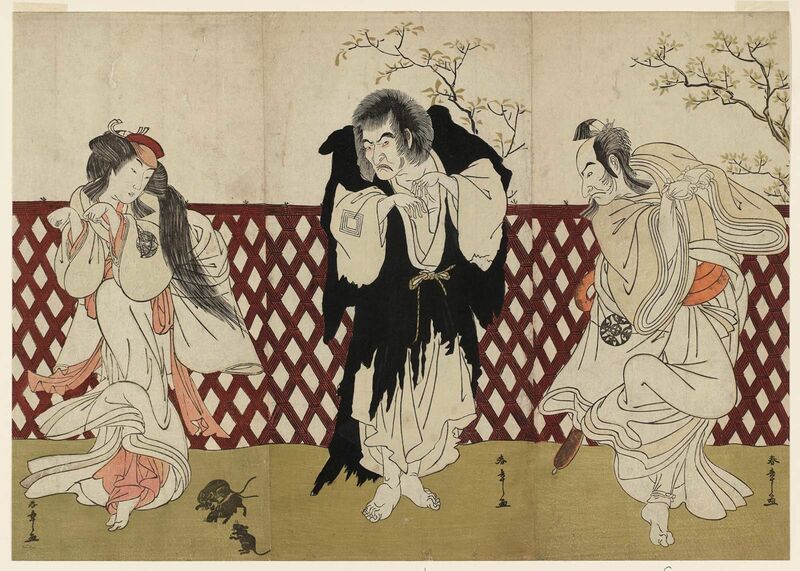 The earliest kabuki performers were women, but later all roles, including female, were played by men. This was because the government banned women from the stage in 1629, their policy being that nobody should follow more than one profession: this prevented women from being both prostitutes and actresses.